These sessions aim at answering all your questions after you started putting things into practice, revisiting certain topics that you might have found challenging to implement or need further help with. With the usual friendly & familiar faces, in a fun and supportive environment, to grow even more together. · To register for this workshop, all participants must have attended one of the 3 B!Social workshops listed above. · All participants must pay for the workshop prior to attending. · The workshop’s fee is non-refundable. · We reserve the right to cancel or postpone the event if required, in this case participants will be notified. The workshop is subject to a minimum number of attendees. · Participants give permission to photograph or record their image at any time during the workshop for use in marketing materials. Please let us know in advance if you wouldn't like to be recorded so we can accommodate your request. · Feedback submitted will be used as testimonials. · Participants agree to receive information by email from NTBT and B!Social, including future business activities and events. 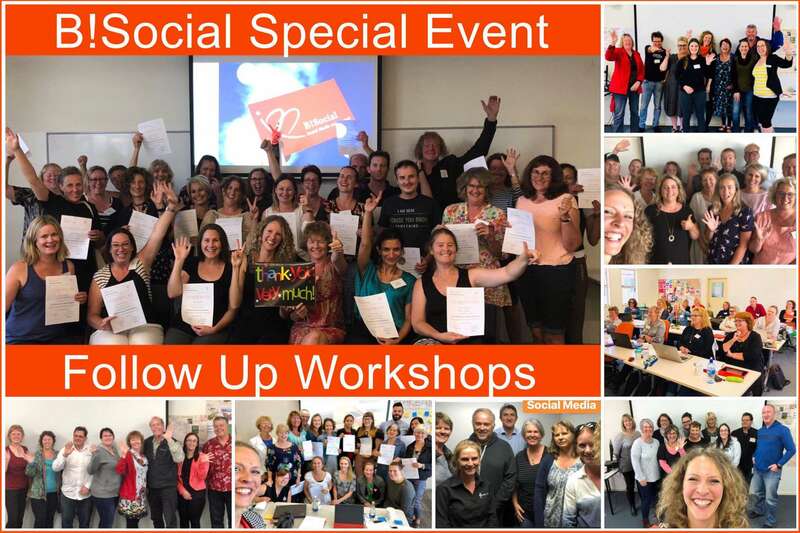 A special follow up workshop for all the Ultimate Workshop participants to get additional support & clarity, and get updated on the newest changes around Facebook & Instagram. A special follow up workshop for all Social Media Advertising Workshop participants to get additional support & clarity, and get updated on the newest changes around Facebook & Instagram.